Passion for Valentine's Day? - Susan Said... WHAT?! I’ve decided that everyone has a hidden artist buried somewhere deep within them. The desire to create something beautiful is sometimes just too tempting to be denied! This is especially true of talented jewelry designer Alicia Van Fleteren, who spent a decade in the financial service industry before giving in to her inner artist. And we’re so glad she did! Van Fleteren’s designs are sophisticated and elegant, but incorporate a touch of playfulness. The San Francisco Bay area based artist creates her line with an eye for pleasing herself first, so that every necklace, bracelet or earring feels utterly unique, authentic and personal. Finely wrought from an eclectic variety of high-quality materials including precious and semi-precious gemstones, silver, gold and pearls, her hand-beaded pieces are beautifully distinct. The pieces are priced for every budget, from $29 to $229. Just in time for Valentine’s Day, I found the Passion necklace. 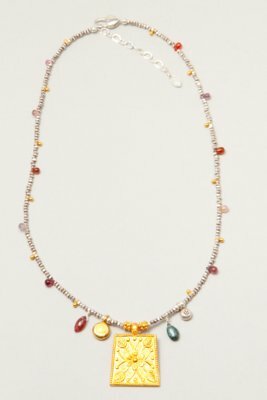 The necklace incorporates delicate, multi-colored spinel drops, 24-karat gold vermeil charms, and unique, silver Thai beads. The handcrafted 24-karat gold vermeil pendant is decorated with an ethereal flower and the word “Passion” in both Sanskrit and English on the back. Best of all, the necklace length can be adjusted from 16.75 to 18.5 inches. Perfect for a night on the town (or Sunday brunch the next morning!). $165. Until recently, Van Fleteren’s beautiful line was only available to her loyal following of customers at select boutiques and private trunk shows throughout Northern California. 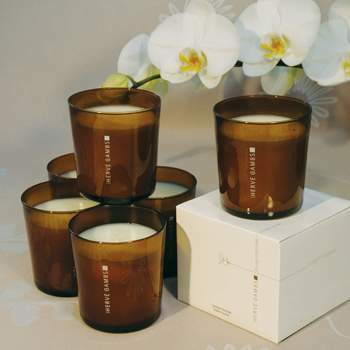 However, a new online store at www.AliciaVF.com means that all of us can now appreciate her lovely designs. Passion for Valentine’s Day? You betcha! Separator image Posted in WOMEN'S FASHION and tagged with Alicia Van Fleteren, beaded jewelry, jewelry, precious and semi precisous stones, Valentine's day.